Hide deals from seller "A'Colsha Hair Salon"
Limit 1 per person and 1 per transaction. Valid on an OPI gel manicure. By appointment only; must schedule at least 24 hours in advance. New customers only. Promotional value expires 60 days after purchase. 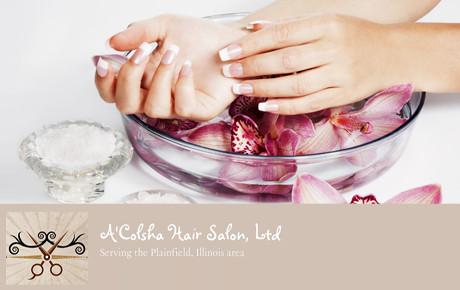 Polish your look with 31% off a gel manicure with OPI gel polish from A’Colsha Hair Salon in Plainfield ($35 value). Salon in Plainfield offering services for hair, nails, skin and more.